This week past, Phil (Plot 35) and Norman (Plot 81) had the pleasure of representing GFAA at a Reception in the Garden Room of The Scottish Parliament. 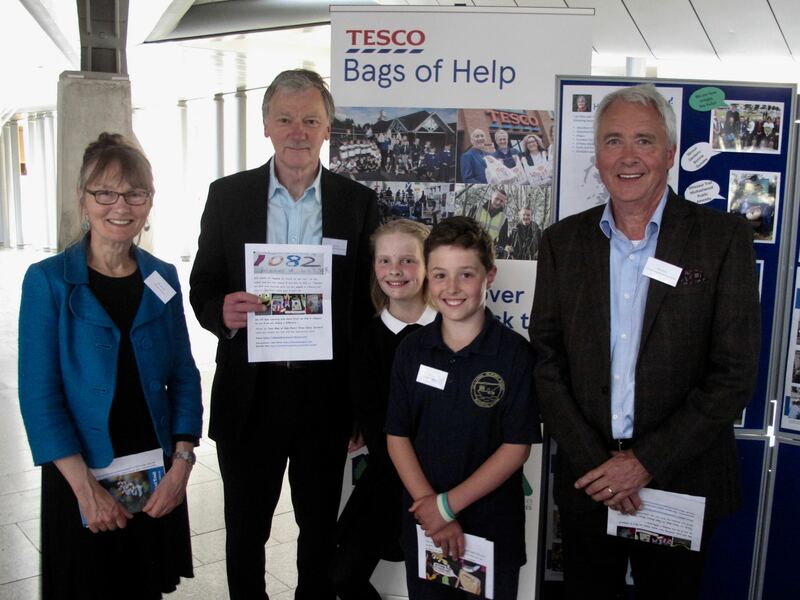 The event was hosted by Kenneth Gibson MSP to celebrate the success of the Tesco Bags of Help programme and the company’s long-standing commitment to community investment. Jane Lawrie (Group Communications Director at Tesco) and Julie Procter (Chief Executive at Greenspace Scotland) formed part of the welcome party. After the welcoming speeches, there were many opportunities to mix with representatives from other community groups, charities and organisations from across Scotland that have benefited from Bags of Help. Ideas flowed thick and fast and the air was full of friendly, positive energy. It was a particular pleasure to meet up again with Rita Callander, the Bags of Help Enabler for our winning Octagon Project. 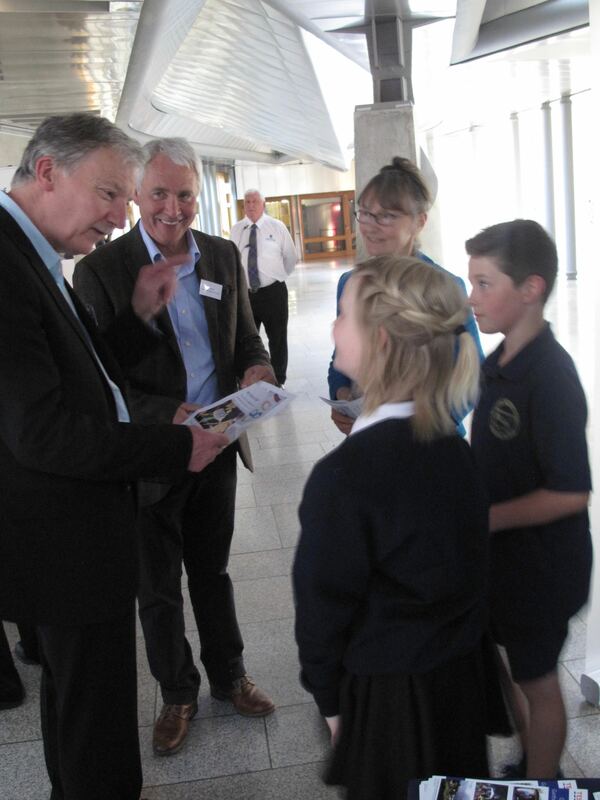 The two youngsters you see in the picture are Joss and Kaylyn from Ullapool who were there representing their school’s anti-littering community project. They gave a brilliant account of themselves and the success of their initiative. In many ways these two youngsters summed up the whole evening, helping as they did to fill the room with energy and enthusiasm and a very positive feeling of communities coming together to make their local areas just that little bit better. As someone says, Every Little Helps. 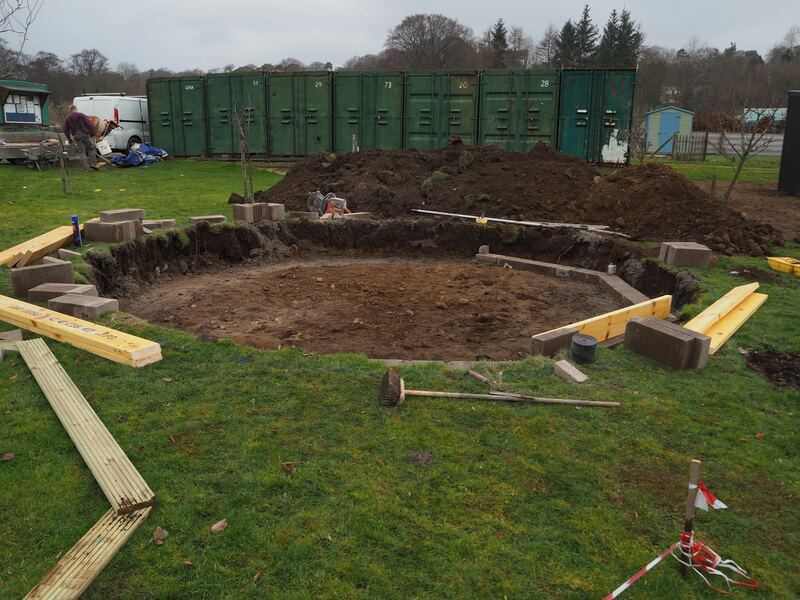 Great to see work continuing on our new Outdoor Classroom today. We’ll be able to host barn dances! Following the tremendous support from our plotters and the wider public at the end of last year, helping us obtain a grant of £12000 from Tesco Bags of Help, work has now begun on site to build our Outdoor Classroom/Shelter. 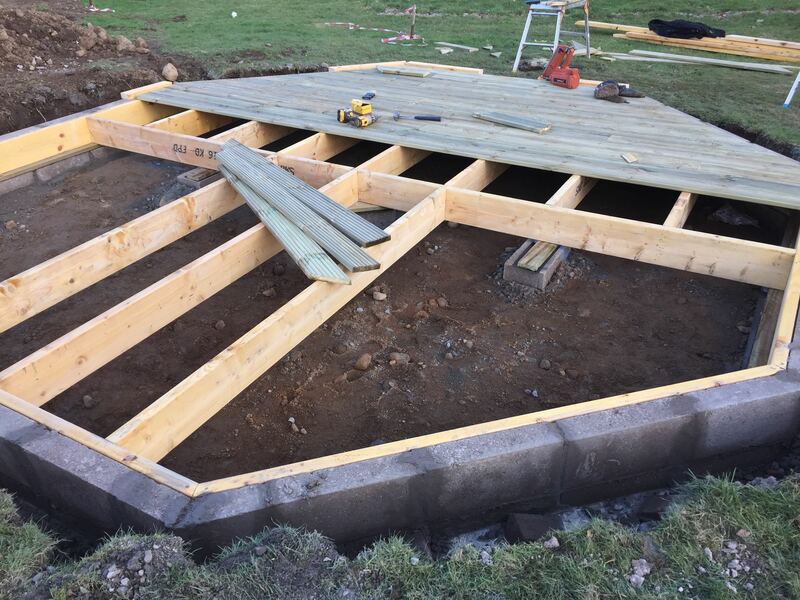 The octagonal larch clad wooden building will be fully enclosed and suitable for wheel-chair access and is for all our plotters to use as well as the primary school children and visiting groups from from Robert Gordon University (RGU). The building has been sited in the Community Garden such that it sits above the highest historic flood line. As most of our plotters will be aware, the site has a tendency to flood after heavy and continuous rainfall and this is made worse by an underground stream from up near the old railway line which feeds into the low-lying area at the bottom of the site. 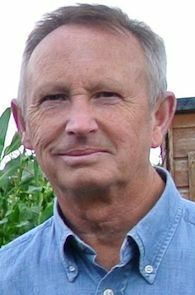 Once the building is complete, work will begin shortly thereafter, using funds from RGU, to establish the necessary paths for all users of the community garden. If anyone would like to lend a hand or spend an hour here and there helping out with our Community Garden activities that would be much appreciated. It is the community aspect of our activities that attract the funding and your support will contribute to making our site just that little bit more special and successful.